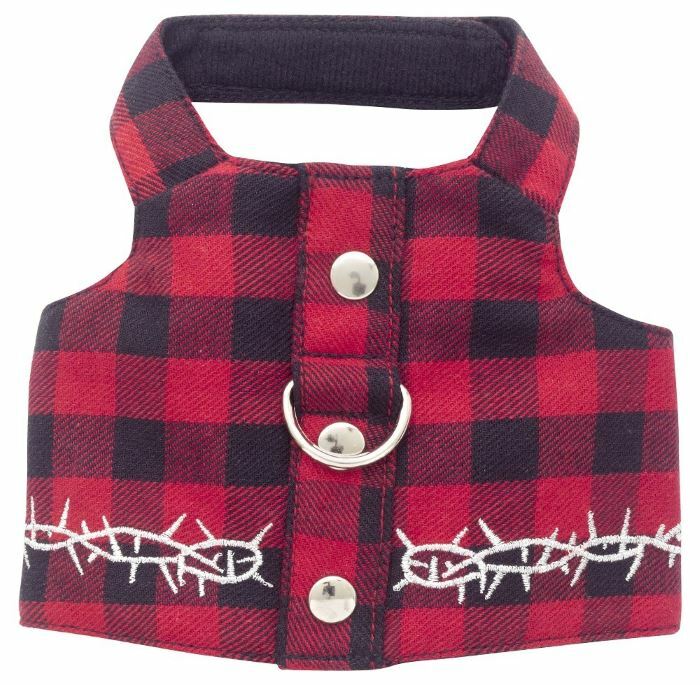 This Red and Black Buffalo Plaid Dog Harness Vest Style is made for your little boy biker doggie. It has metallic accent buttons and check out the snazzy embroidered stitching accent! This is not for the shy and timid type. Give your guy a little edge while walking down the street in this cool biker Vest. The Red and Black Buffalo Plaid Dog Harness Vest Style has a solid D ring for leash attachment.